3 Jan Filed under bushwick, closed, east williamsburg, music. Tagged 3rd ward, bushwick, east williamsburg, house of yes, maximus comissar, music. Bookmark the permalink. 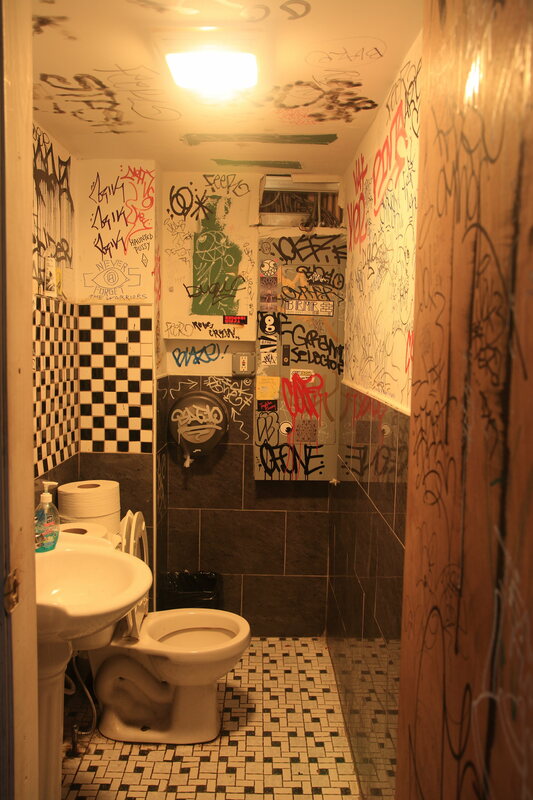 Bushwick Music Studios was an underground music venue in the heart of the East Williamsburg Industrial Park. 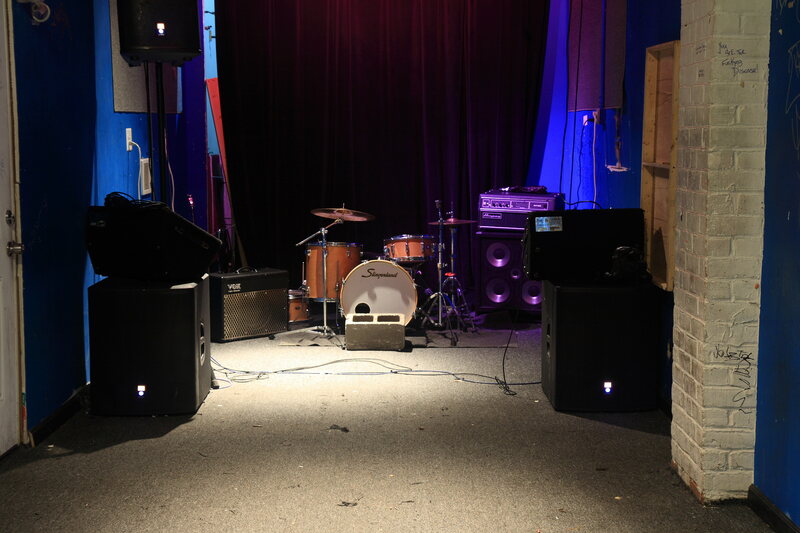 It was totally unfussy—just a tiny bright blue windowless room in a nondescript warehouse, with a handmade balcony for the soundboard, DIY lighting, and a makeshift bar selling Four Loko and PBR. 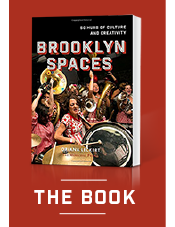 But during its yearlong run, it became one of the staples of Brooklyn’s underground music scene, packing in over a hundred sweaty kids on most nights. BMS’s early shows were block-wide, all-night affairs, with music blasting from several adjacent unoccupied warehouses. Tito, who started the space, ran it with a very socialist attitude, encouraging anyone who wanted to get involved to come by and book a show or help with promotion. The space was highly illegal, with no liquor license, no fire-prevention system, and serious over-occupancy issues on most nights. 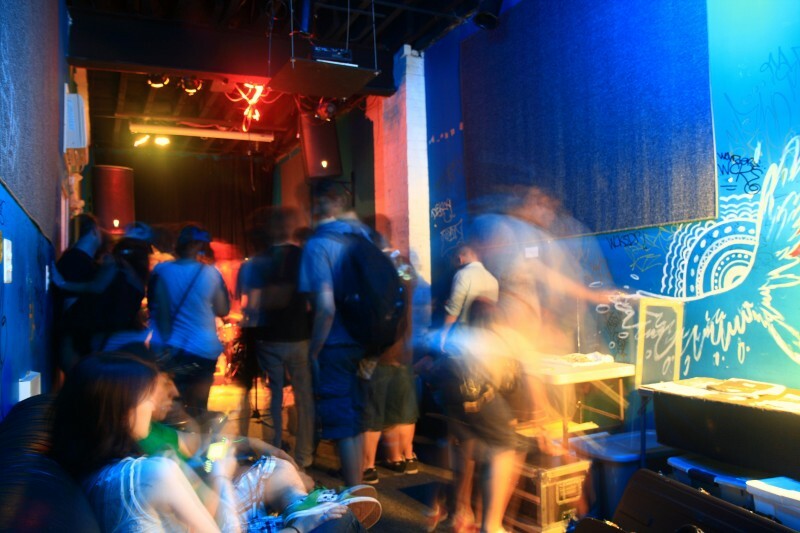 BMS was only a few blocks from some other great Brooklyn spaces, including Werdink / Ninja Pyrate, Shea Stadium, House of Yes, 3rd Ward, and Bushwick Project for the Arts. When Tito left town, the space changed hands and became The Archeron.